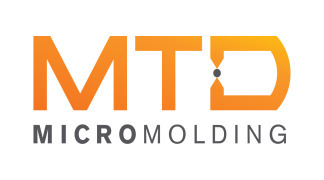 CHARLTON, MA - (1/14/2019) - Plastics News has announced the finalists for the 2018 Processor of the Year Award and MTD Micro Molding (www.mtdmicromolding.com), a long-time leader in micro injection molding, has been named one of the four. The Processor of the Year award is a prestigious award in polymer technologies that honors companies with superior achievement within their organization, community, and polymer operations. Candidates for Processor of the Year are judged based on seven criteria: ¬financial performance, quality, customer relations, employee relations, environmental performance, industry/public service, and technological innovation. The other finalists are Intertech Plastics Inc. (Denver, CO), Plastek Industries Inc. (Erie, PA), and Vital Plastics Inc. (Baldwin, WI). The Processor of the Year winner will be announced March 6, 2019 at the Plastics News Executive Forum in Naples, FL.